Over 70 years of experience in the automotive industry, the Barker family are known for their love of the business and their dedication to providing quality cars, trucks and SUVs with a dealership team spirit. Barker Honda has been a family owned and operated Honda dealer for over 18 years. Our dealership is known for both its quality inventory and our incredibly friendly, helpful staff. Whether you're looking for a new Honda car, truck, or SUV or a beautiful pre-owned vehicle, you can rest assured knowing Barker Honda has an amazing selection at a great price! We stock the latest Honda models of cars, trucks, SUVs and minivans. Come test drive our popular Honda Pilot or Honda Accord . 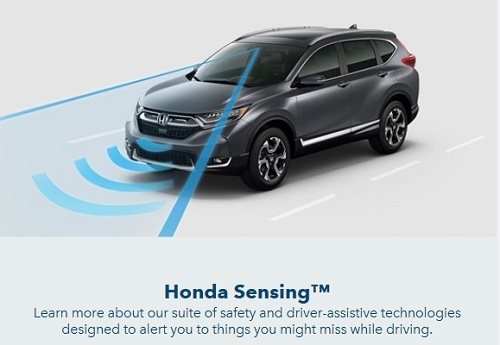 We offer the latest Ridgeline model and CR-V as well. Whatever model fits into your lifestyle, we have the vehicle for you and your family, including the Honda Insight. Browse our wonderful selection of new Honda cars, trucks, or SUVs & find the Honda you've been wishing for! Barker Honda also has many used & certified pre-owned cars from popular makes and models, in vibrant colors and unique body styles. Come see our fantastic certified pre-owned vehicles that are quality-inspected by our team of professional technicians. Our technicians ensure the integrity of our vehicles and vow to only serve top-quality certified pre-owned vehicles. View our inventory and call us today to schedule a test drive. We are passionate about providing our customers with the best possible customer service in our sales department and service department. KBB 2018 Best Buy Award - Overall Winner - OVERALL BRAND! ALL NEW 2019 Honda Passport! Get ready for adventure! At the corner of Martin Luther King and Enterprise - right next to Best Buy. We look forward to seeing you!